TechCamp creates connections, sparks innovation, and empowers civil society to solve the world’s most pressing challenges through technology. 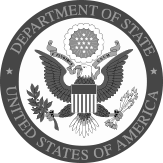 TechCamp is a Public Diplomacy initiative hosted in the Bureau of International Information Programs (IIP) at the U.S. Department of State. TechCamps cover a variety of topics—explore our content by topic below.